In the words of India's labor minister, women have just been given a "humble gift" of six months paid maternity leave. Experts say it could sour very quickly. 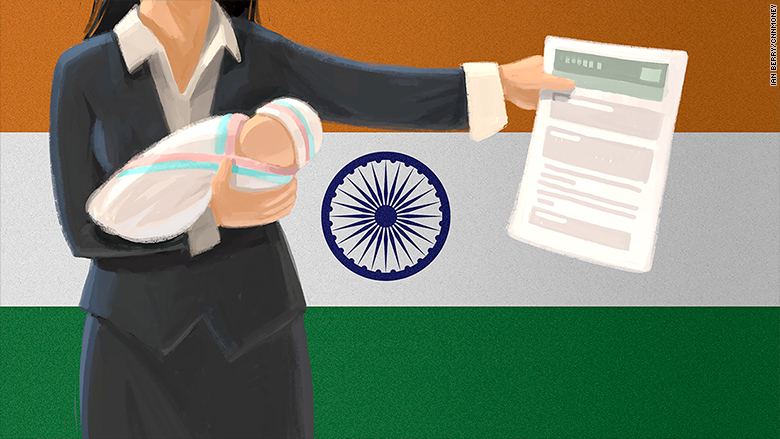 The new policy -- which became law Wednesday -- more than doubles the time off for working Indian mothers, and means the country now has more generous maternity leave than the U.S., Japan and France. The Indian government hopes to encourage more women -- less than 30% of whom are employed -- to enter the workforce. But employers and recruitment experts fear it could have the opposite effect, particularly for small and medium-sized businesses. "You will probably see a further decline in women being hired," Subramanyam Sreenivasaiah, CEO at human resources consulting firm Ascent HR, told CNN. Here's the problem. The government has mandated 26 weeks of paid maternity leave, but it doesn't provide any financial support for employers. That means companies must bear all the associated costs -- including training and hiring a temporary replacement. The law also says companies with more than 50 employees must set up daycare services for working mothers. "The industry cannot afford to do this at all," Sreenivasaiah added. Big Indian companies and multinationals should be able to cope with the change. Indeed, Swedish furniture firm Ikea moved quickly to introduce new policies that went one better and also gave new fathers six months off. "This is a beneficial legislation which is good for female employees and the corporate sector," said R.S. Maker, director general of the Employers' Federation of India. "The industry has accepted that maternity benefits are here to stay," he said. But smaller companies could struggle. Jubin Shaju, a human resources executive at digital payments firm Chillr, says hiring practices in India already tend to discriminate against women. "This makes things even worse," he said. Women aspiring to work in India's booming startup sector could be hit particularly hard. There's no official data so far, but a survey of over 4,300 startups by social network LocalCircles found that 26% would rather hire male employees. Another 40% said they would hire women, but only if they're worth "the cost." Around 35% of respondents said the new maternity leave requirements would negatively impact their profitability. "Startups usually have action-based roles," said Upasana Taku, co-founder of Mobikwik, another digital payments company. "The possibility of somebody not being able to contribute for six months at a stretch will be a huge deal breaker," she added. India's labor ministry did not respond to multiple requests for comment. Others point out that the law -- while a step in the right direction -- doesn't cover nearly 150 million women who work in temporary, casual jobs or are self-employed. "India is not yet there in terms of overall infrastructure, education, healthcare," said Sairee Chahal. 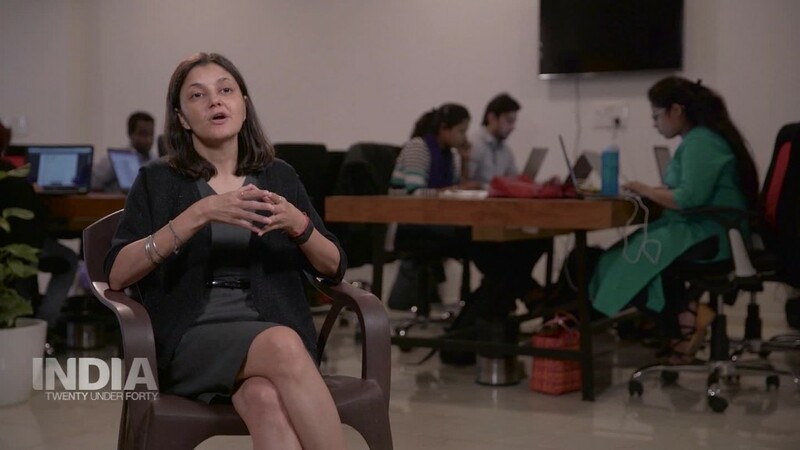 Chahal is the founder and CEO of SHEROES, an online platform that helps Indian women find jobs. "It is good to have the government thinking about it, but it is also a step in isolation," she added. Sudha Ishara is one of many women who won't benefit from the new rules. She runs a tutoring center at home, where she teaches nearly two dozen students while taking care of her child. Ishara quit the school she previously taught at when her son was born six months ago, because she couldn't afford the unpaid maternity leave it offered her. Sudha Ishara, 32, runs a tutoring center at home while taking care of her infant son. "I feel tied down, but the baby needs his mother," she said. Now that he's a little older, however, the 32-year-old mother of two is looking for a nanny -- and a new job.